What is Duplex Stainless Steel Plate ? Aakash Steel is a full line manufacturer and supplier of Duplex Stainless Steel Plate in material grades Duplex 2205 & Super Duplex 2507 in all finishes. We can supply cut to size Duplex Stainless Steel Plate with both narrow and wide widths. Our stock of Duplex steel plates includes thickness of 6mm up to 100mm with width of 1250mm, 1500mm, 2000mm, and 2500mm. An ISO 9001:2008 Certified Company, Aakash Steel is a leading stockholder, supplier and exporter of Duplex Stainless Steel Plate . Duplex Stainless Steel Plate are cut to your specifications and supplied with complete set of mill test reports. Custom length and width up to 2000 mm can be made available. Exports is Our Specialty! and we can source many hard to find grades and or non-standards sizes to meet the special requirements of our customers. All stainless steel hot rolled Duplex Stainless Steel Plate can be cut to size with the help of our extensive expertise in processing steel plate products. Orders at Aakash Steel are guaranteed fast delivery of the Duplex Stainless Steel Plate in the country. The main reason being we have an excellent warehousing and storage facilities for both finished and semi finished goods.They are made ready as per the urgent requirements of the customers. The Duplex Stainless Steel Plate are manufactured to sustain very high pressure and product warranty.In 2016 we have stocked 25 tons of Duplex Stainless Steel Plate in all sizes, to cater to immediate delivery and urgent needs of the clients. For small requirements we can dispatch the Duplex Stainless Steel Plate immediately against the purchase order. Our duplex innovation is unmatched in the industry and our offering covers a full palette of duplex stainless steels for use in diverse industries and applications. The high mechanical strength of duplex grades is a result of the duplex microstructure and the alloying with nitrogen. This high strength gives opportunities for reducing both weight and cost as a thinner material can be used. Low nickel content of the duplex grades makes them price stable. 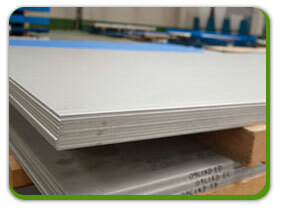 Aakash Steel stocks super Duplex Stainless Steel Plate s which are certified to material grades UNS S32750 and 1.4410. The steels are also compatible with the branded 2507 designation.Duplex 2507 is a super duplex stainless steel designed for applications which demand exceptional strength and corrosion resistance. Alloy 2507 has 25% chromium, 4% molybdenum, and 7% nickel. This high molybdenum, chromium and nitrogen content results in excellent resistance to chloride pitting and crevice corrosion attack and the duplex structure provides 2507 with exceptional resistance to chloride stress corrosion cracking. Each order is packaged according to the customer’ s standards including preparation for export such as wooden case, pallet or according to customer’s requirement All shipping documentation is provided for Duplex Stainless Steel Plate delivery from mill to customer.